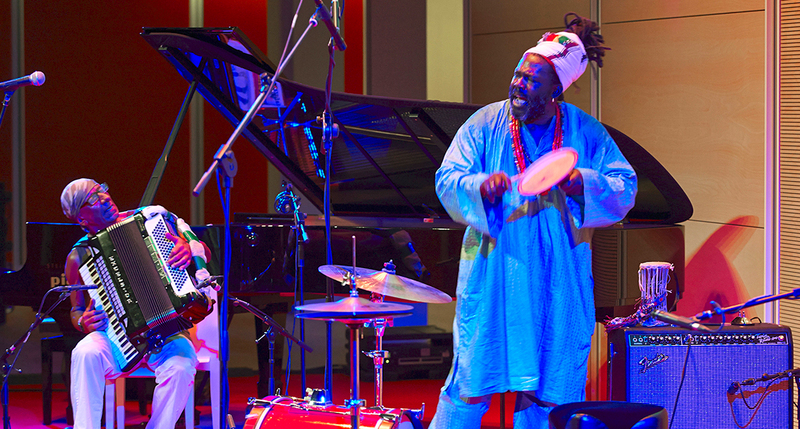 A unique, earth­shattering meeting of two of the most vibrant musicians on the international jazz scene, playing together in a concert without frontiers, mixing traditional African rhythms with jazz improvisation, a firework display crammed with creative energy. Baba Sissoko, an African from Mali, hails from a great family of Griots, travellers that possess and pass on knowledge, traditions, history and local culture. He began his musical career playing the Tamani (talking drum), accompanying his grandfather on his travels. His style is extremely unusual: he takes the melodies and rhythms of African tradition and fuses them with the sounds of Western black music, such as jazz and blues, creating a truly original sound. 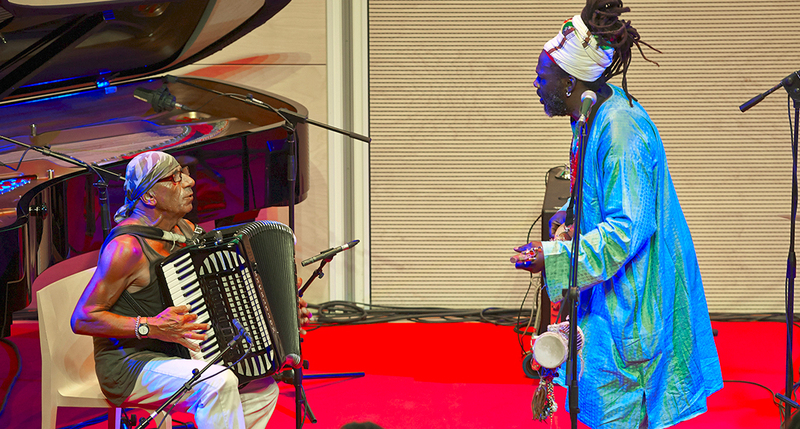 Sissoko is sharing this new project with pianist and accordionist Antonello Salis, in which both parties seek to hook up to the roots of Afro­American music, creating a series of historical and musical short circuits. The presence of Salis is by no means random, since the Sardinia pianist – who plays by ear – is in many ways the most “physical” and “African” of Italian jazz musicians, capable of unbounded creativity when extemporising.